Some of you may not know that I have both of my ears stretched to 22mms. I started stretching my ears at 16 and five years down the line I actually don't regret it! I like having stretched ears, I think it looks cool and it's a great conversation starter. So today I will be sharing with you something different, an ear stretcher wish list. 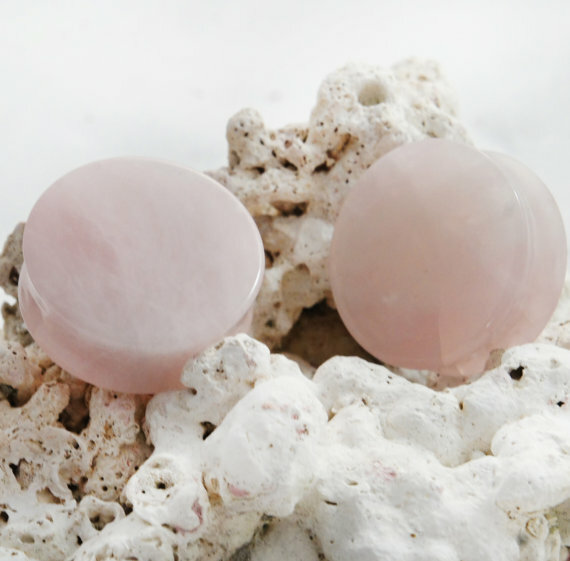 Etsy is full of handmade things and their tunnels and plugs are so pretty. The above image are the tunnels that my boyfriend Michael got me over two years ago, they can be found here. 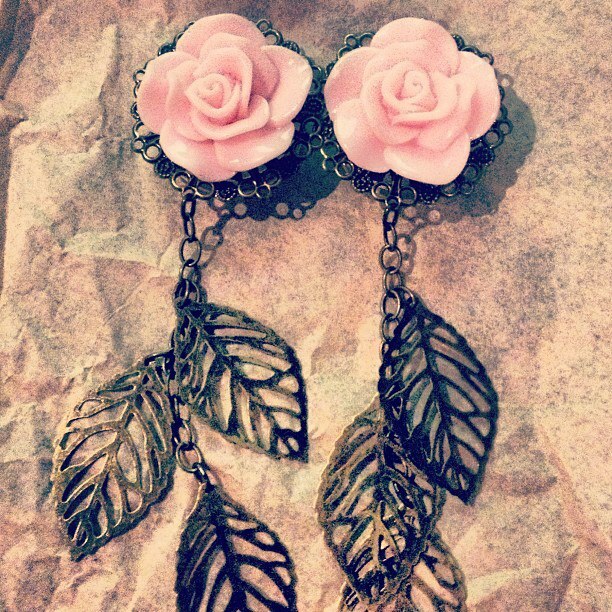 They're so gorgeous and they look like normal earrings - kinda - when they're on. 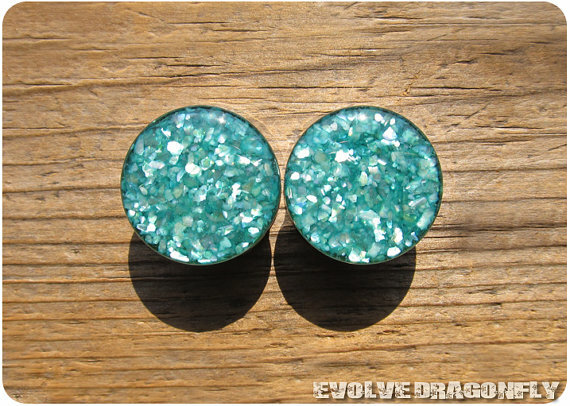 I love how bright and almost sparkly these plugs are. I love the teal colour of them, so pretty. They're available in single flare or double flare too, which is great! 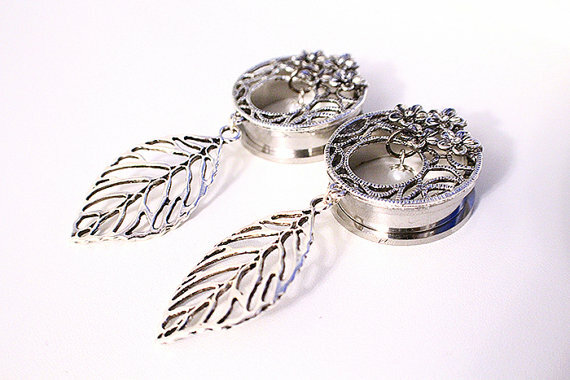 I love how girly these tunnels are, they would be perfect for dressing up an outfit! 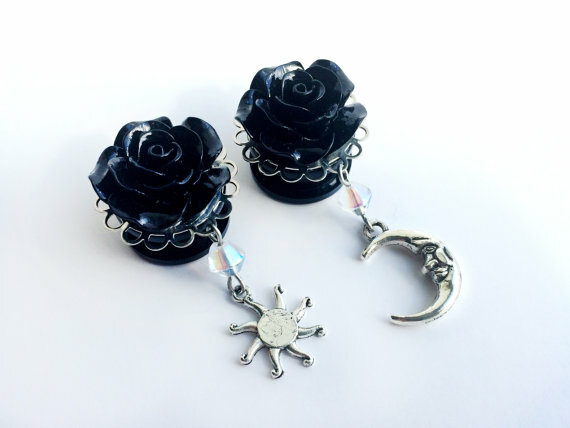 These are one of my favourites, I love the black flower with the combination of the sun and moon. This store is UK based and have so many gorgeous plugs and tunnels! These plugs are plainer than the others and will probably be the easiest to wear. I love the colour combination on these, it's so gorgeous. 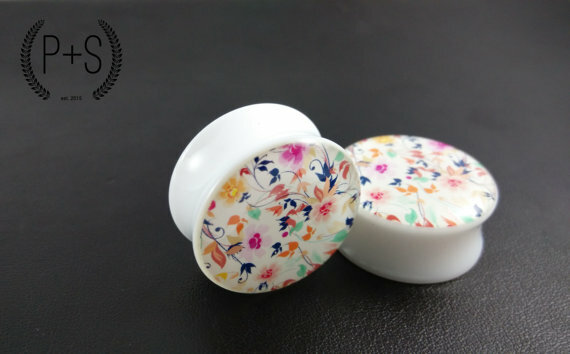 How beautiful are these plugs though? I love the effect of the stone and the colour is my favourite!